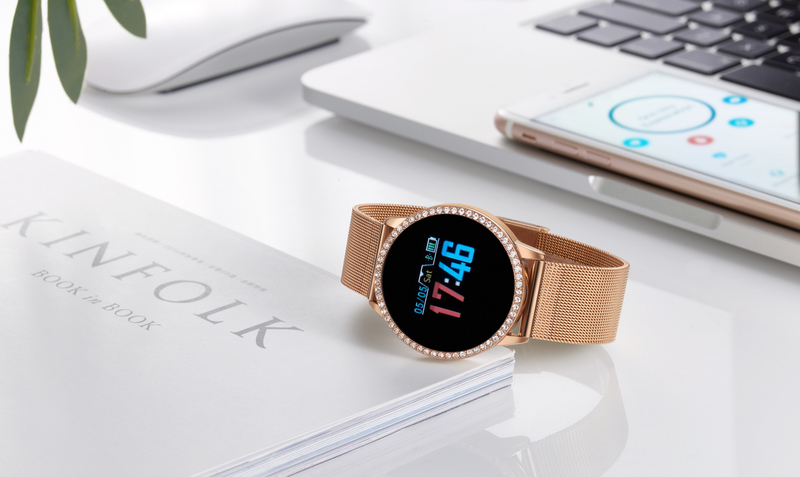 The Milano smartwatch is an updated and refined version of our original smartwatch. The Milanese mesh band insures a secure fit while staying on trend with the latest tech and style. The Timothy Stone Smartwatch combines modern glamour with next-generation technology. 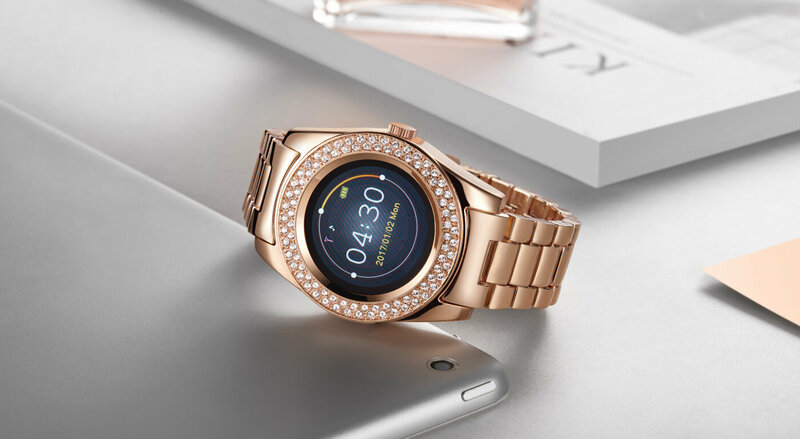 Featuring a dazzling crystal bezel and an LED display, this next-generation watch will give you the best of both traditional and modern style.